The changeup pitch grip: If you do not have one you need one. The changeup pitch will be your best complement to your four seam fastball and two seam fastball. Once a pitcher learns how to throw a change up effectively their pitching skills will expand. 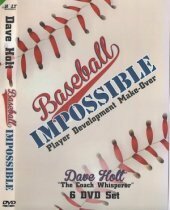 A youth pitcher that can master the command and control of the change up they will instantly improve their fastball pitch credibility. 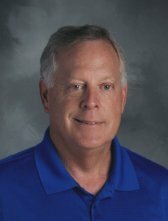 When the hitter has to think about two different pitches that the pitcher might throw the hitter now has doubt in their minds. And when a pitcher knows how to throw a changeup they immediately create doubt in the hitters’ mindset. Righthanded Pitchers will go as far in a baseball career as lefthanded hitters will allow them. In other words, if a right handed pitcher cannot contain the lefty hitters they will reach their baseball talent ceiling. Right handed Pitchers have to be able to contain lefthanded hitters. Pitchers have to develop an off speed pitch besides a breaking ball because the curveballs, sliders and breaking balls are breaking into the batter and not away. These breaking pitches do not have the same deceptive effect as righty pitchers vs. righty batters. That is where knowing how to throw the baseball change up is so vital. The same goes for lefthanded pitchers facing righthanded hitters. All pitchers need the changeup pitch to help neutralize the opposite hitter, especially when they reach college baseball and professional baseball. Beginners should start with the basics: the changeup pitch grips. Just place the baseball well back into the pitchers’ palm. 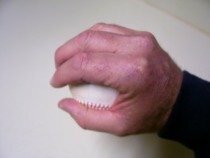 Lightly add just enough pressure of the fingers to hold the ball in place so it does not fall out of the pitchers hand. As a pitcher gets skillful in controlling the ball consistently for strikes they can move into the more difficult baseball change up. For starters though, keep pitching the change up with the palm pitching grips for change up. Wait to throw the more difficult circle change up until complete mastery of the straight the changeup pitch has been established. Usually the “change up” is most effective against really good hitters. Hitters who can consistently get a good swing off your 4 seam fastball and 2 seam fastball need to know you have another pitch. The best pitchers are able to prove to good hitters that you might throw your second or third pitch grips. Therefore, when a fastball count comes the hitter has just a little doubt in the back of the hitters’ mindset that the change up or curveball may be coming too. Then, when you throw a good hitter a fastball they are just a little late and miss time the pitch and hit the ball for a routine fly ball or ground ball instead of a sharply hit ball. Refrain from throwing the change up to batters who swing late on the fastball pitch grip. If they cannot get around on the four seam fastball—do not do them a favor by speeding up their bat speed by throwing them an off speed changeup. Changing up on the batter can really bring pleasure and joy to the art of pitching. The feeling of having a real good batter miss hit your pitches is rewarding. Want to know the real key to the successful changeup?The pitchers motion cannot change. The pitchers arm action, arm speed, the pitching delivery, and the body motion has to look exactly like the 4 seam fastball and the 2 seam fastball. Do not ‘tip’ the pitch by telegraphing to the hitter by slowing the arm motion. The pitch has to have the same look as the fastball delivery. The pitch grip choked in the palm of the hand and lack of wrist snap should naturally slow the pitch enough (around 10-15 MPH slower than the fastball) to mess up the hitters timing.